Guys joining girls to twerk for the cash prize of a dance competition. The hypeman complimenting the ‘loud’ he could perceive from all the way up on the stage. 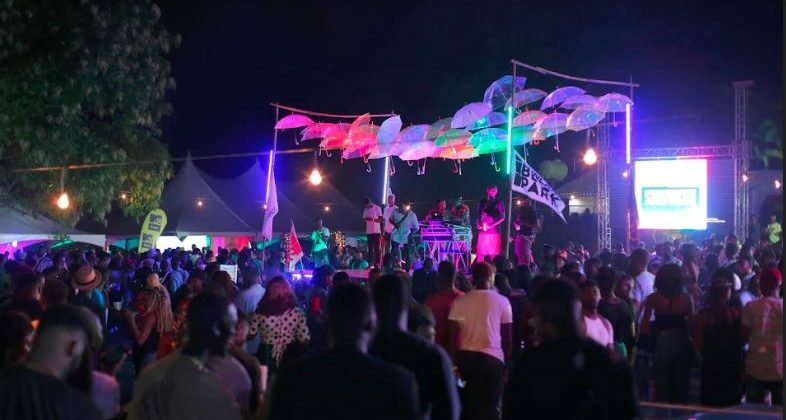 The first ever Afropop inspired mosh-pit, when Chinko Ekun and Zlatan performed “Able God” and over-1500 party guests in attendance tried to show off their Zanku legwork. Bolly Lomo admitting he’d join the dance competition if he wasn’t an official. 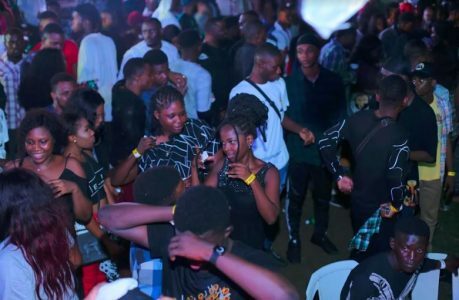 These were just a few of the signs that this was a special edition of the Mainland Block Party, a monthly event that holds in Lagos to celebrate millennials, Lagos party culture and the great music of our time. This wasn’t the usual lightweight vibe Mainland Block Party is reputed for. 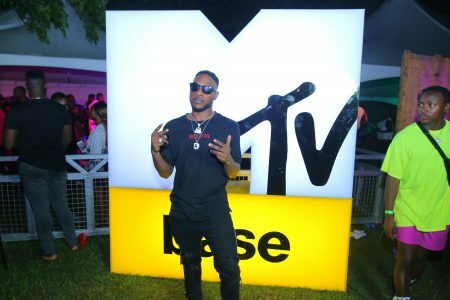 MTV Base had taken over and upped the ante to celebrate their 14-year anniversary. The music television channel launched on the 22nd of February, 2005, combining Africa and the international music scenes as they promote Hip-hop, R&B, Afropop, dancehall, Afrobeat, kwaito, hiplife, Reggae, zouk, m’balax, Gqom and other genres relevant to the young African audience. And they hosted the Mainland Block party on the 3rd of March to celebrate their anniversary and the cultural vibrancy and creativity of African music, artists and fans. It held at the Secret Garden location in Ikeja, Lagos and was hosted by MTV Base VJ, Nenny B, alongside actor, Bolly Lomo. Fans that were present were treated to a great time of dancing to party tunes, drinks made available by the event’s sponsors, face painting, a swimming pool and awesome networking opportunities with the array of celebrities and elite guest present. 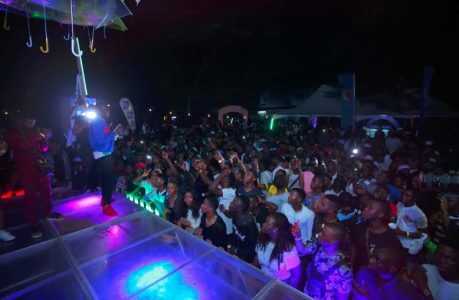 A-list artists like YCee, Zlatan, Chinko Ekun and Skiibii also took the stage to perform for their adoring fans, while new kids on the block, Blaqbonez and Oxlade also got their time on the stage, earning new supporters as the crowed turned up to their “Mamiwota” collaboration. Several celebrities like Tomi Thomas, DJ Neptune, CDQ, Mr Real, Iyanya, L.A.X, Falz and more also made appearances to party with their fans. Check out the reel from the MTV Base 14-year anniversary Mainland Block Party takeover.